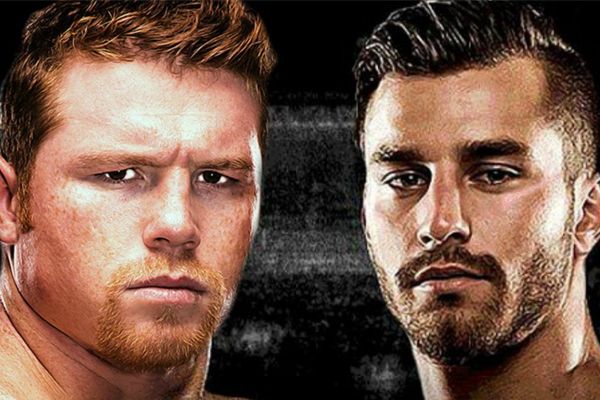 Canelo Alvarez vs. David Lemieux? Briggs Seekins March 28, 2017 Boxing, Headlines No Comments on Canelo vs. David Lemieux? On Monday the announcement came out from Golden Boy that David Lemieux is being added to the undercard for Canelo Alvarez’s May 6 clash with Julio Cesar Chavez Jr. The move makes complete sense. Lemieux is an exciting, all-action fighter. His presence on any card sweetens the deal for potential buyers. Beyond that, he put in short work at the start of this month, when he knocked out Curtis Stevens in Round 3. The stoppage will be on the short list for Knockout of the Year come December, and only underscores the Canadian’s box-office appeal. But it is hard not to speculate that Lemieux’s addition to the card is an omen of things to come. Golden Boy CEO Oscar De La Hoya has been heavily down-playing the potential of a showdown between Canelo and Gennady Golovkin. If he wants to keep his biggest star’s next fight in-house, Lemieux is a good bet to happen. It’s a damned shame, though. Don’t get me wrong, Alvarez vs. Lemieux would probably be an exciting fight, for as long as it lasted. Alvarez’s destruction of James Kirkland was pretty exciting, too. But it wasn’t particularly relevant. I would rate Lemieux as tougher than Kirkland, if for no other reason than that he is bigger and younger. But I also think Canelo is the kind of aggressive counter puncher who would chop Lemieux down. Beyond that, the fight just is not very relevant at this point in time. Before Lemieux got out-classed and stopped by Golovkin, it would have been a good, relevant fight for Canelo to get his toes wet in the middleweight division. At this point, it would not prove a thing–it would simply be Canelo beating GGG’s leftovers. I was fine with Sergio Martinez avoiding Golovkin to defend his lineal middleweight crown against Miguel Cotto. Martinez was old and banged up and deserved to collect the biggest payday possible before calling it a career. I was okay with Cotto defending the lineal crown against Canelo. It made good business sense. Mexico vs. Puerto Rico is boxing’s greatest rivalry and this was the biggest Mexico-Puerto Rico fight since De La Hoya and Tito Trinidad. But Golovkin should only need to wait so long for his shot at the lineal middleweight title. He’s been the No. 1 contender for that title for close to half a decade. Canelo is a young lion. He should not back away from this kind of challenge.